At the heart of the Dream Center it is our desire to rescue those who have been enslaved by hunger, homelessness, poverty, and human trafficking, and other life controlling issues. We do this by providing hope, empowerment, and the love of Christ both in word and deed in our four focus areas- Children, Community, Discipleship, and Hunger Relief. We seek to meet urgent physical and spiritual needs through our many outreach and discipleship programs. The mission of the Pittsburgh Dream Center is to directly impact the issues that afflict Pittsburgh communities by reconnecting people to God and a community of support by providing free human services that address immediate and long-term needs in the area of hunger, poverty, homelessness, education, and human trafficking. Pastor Gary and Amanda met in church in their hometown of Somerset, PA. After getting married they moved to Pittsburgh, PA where they both had successful business careers and started a family by having four children- Hannah, Andrew, Caleb, and Jonathan. 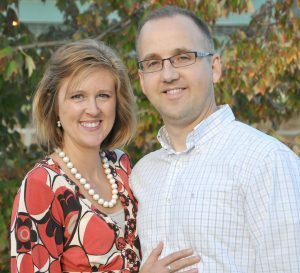 After ten years in Pittsburgh Gary and Amanda believed the Lord was speaking to them to go to Oral Roberts University in Tulsa, OK to get trained for ministry. The couple along with their children headed west leaving family, friends, and successful careers behind. While in Oklahoma the family grew under the teaching of Pastors Billy Joe and Sharon Daugherty of Victory Christian Center, and helped at the Tulsa Dream Center. The Brougher’s believed they would return back to Pennsylvania to minister one day, but a dream started in them after Gary took a missions trip to the Los Angeles Dream Center. It was on this mission trip when God spoke that he, Amanda, and their family were to return back to Pittsburgh and start a Dream Center. In August 2011 the Pittsburgh Dream Center began with its first outreach- Adopt-A-Block.